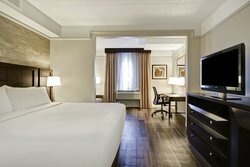 Featuring 214 oversized and recently renovated guest rooms, we offer a selection of room types and suites to suit all your needs, whether you’re here with a team, on business or traveling solo before catching a flight out of Detroit Metropolitan Airport. All of our rooms are pet-friendly, smoke-free and come complete with access to our complimentary amenities and services. 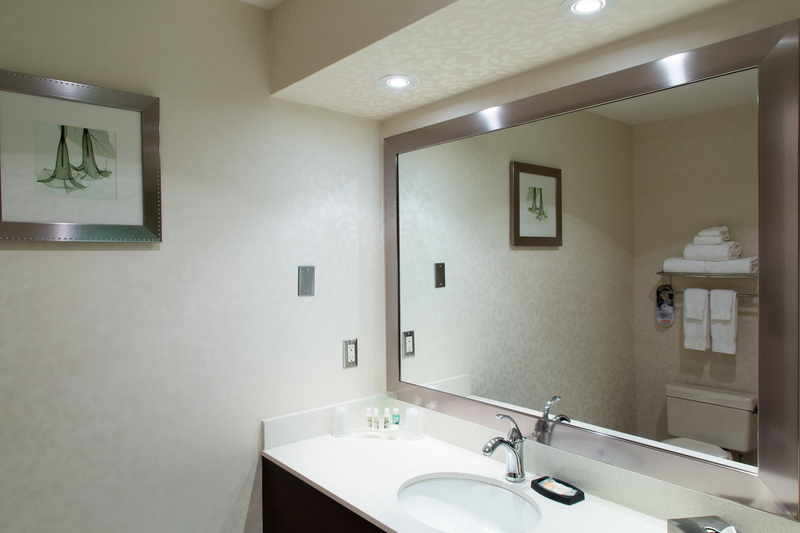 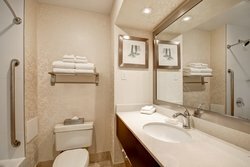 Each of our accommodations includes a mini-fridge, Keurig coffee maker, iron, ironing board, complimentary wireless internet access, ample parking, quality towels and more. Our fresh take on hotel décor will make you feel at home with quality materials and spacious layout. 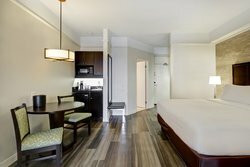 As a further demonstration of Holiday Inn’s commitment to helping families save on travel, kids age 19 and under stay for free when sharing their parents’ room. So whether you choose Holiday Inn as a stop along the way or as your ultimate destination, you’ll enjoy a family friendly atmosphere at a family friendly rate. 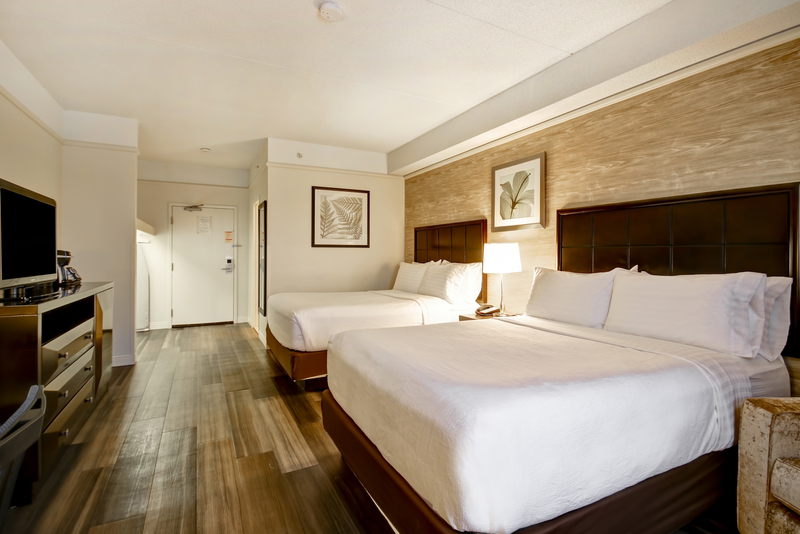 Unwind in our guest room with 2 Queen Beds. The spacious room is great for families or groups and can accommodate up to 4 guests. 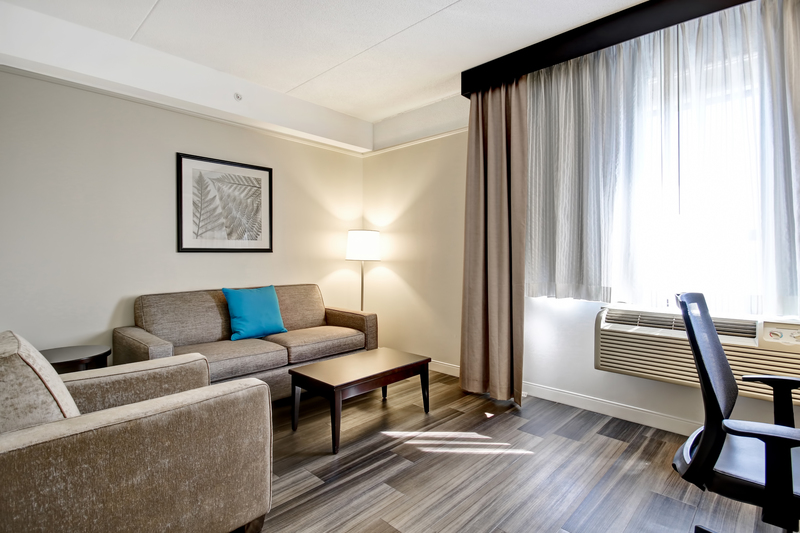 Find all the resources you need to settle in and make yourself at home including complimentary WiFi, room service and a mini-fridge. 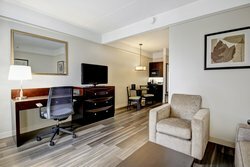 Planning a meeting and hosting your out-of-town guests has never been easier. Welcome to our King Standard Room which includes 1 King Bed, 1 Sofa Bed and all our Holiday Inn & Suites standard brand amenities. Our King Standard Room also attaches to the Parlour Meeting Room to create an all-in-one meeting and sleeping lounge.